A standing joke between my wife and I pertains to the desire of parents to teach their children to speak. For months after a baby is born, we circle around it waiting for the first signs of verbal communication. We celebrate in full festival style when we hear the first words of a baby, whether it's the cherished "Mama" or "Dada", or perhaps something less cordial like "Goo" or "Gah". It is so exciting to teach a child to talk! The joke begins when they've become proficient talkers--more commonly called toddlers. Now you crowd around them only when they sleep so you can hear the blissfully elegant sound of no talking. You stare at them during those rare moments when they sit silently and wonder if they are still breathing. Talking becomes the new norm, and you celebrate in full festival style only when they eat or play with such concentration that their vocal cords cease to vibrate. It was wonderful to teach them to talk, but now parents begin to question how wonderful it really was. We must now teach them to not talk (all the time). We are there now. My soon-to-be 3-year old son is a literal motor mouth. He finds it difficult to perform any task without narrating it. If he's not narrating, he's asking my wife or I what we are doing, and why, and how, and for how long, and when we will stop what we're doing and play with him, and what we will play with him, and for how long, and whether it's Saturday yet. Yes, that sentence is a grammatical nightmare, but it might give you a glimpse of the type of flow-of-consciousness verbal warfare that we are accustomed to. It's exhausting. Most of the things listed above are funny and cute--not naughty or selfish. Sometimes he gets on our nerves--I won't lie. Sometimes he mouths off and needs to be straightened out; but I won't scold him just for talking a lot. And that is what this post is about--taking advantage of this stage of development to teach and interact with your child. It can be difficult. You're tired. 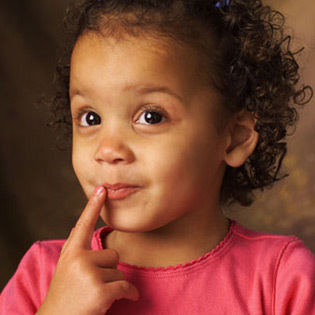 Toddlers persistently, tenaciously bombard you with verbal clutter and meaningless questions. They repetitively poke your brain with the same question--the question you just answered 14 seconds ago. Yep, they are asking again. I try to keep a few things in mind when "handling" the barrage of words. In those moments when I'm stressed or tired or trying hard to concentrate on something and Micah is verbally banging on my head, I am tempted to respond with a proverbial sledge hammer and demand a state of silence be enforced. But we all know that won't work, and I'd be setting he and I up for disappointment. Another big problem with "shutting your kid up" is it can cause them to associate their attempts to talk to you with frustration, disappointment, and anger. More often than not, the meaningless talking actually isn't meaningless. His goal is to get me to pay attention to him and make him feel like the only kid on the Earth. As a parent, I must maintain balance here. I want to give him that attention often to communicate my love for him, but I don't want him to become the boss of the house--able to demand attention whenever he sees fit. This balance requires discretion and a keen sense of your child's personality. #2 Calmly and clearly communicate expectations and consequences. If someone, child or adult, is bothering you, you must consider the possibility that person is unaware. You need to talk to them to clearly and kindly let them know that certain things they do make you upset or uncomfortable. Instead of assuming that your toddler has a firm grasp on the subtleties of interpersonal etiquette, calmly and clearly explain to them what they are doing that bothers you; then give them a choice. Once they know it bothers you, they can choose to keep doing it and suffer a consequence (prescribed by you in your discussion), or they can choose to stop. Choosing a consequence is all about parental wisdom. I can't write a procedure for that! And if I could, I wouldn't; because I'm not trying to tell you how to raise your kids. That's your job. When I talk to my son, I look him in the eyes and calmly (that's important) tell him to stop pestering me with questions/demands. I stop what I am doing temporarily in order to have this little meeting. I usually tell him I will need some time to finish (2, 5, or 10 minutes) what I'm doing; and if he obeys my wishes, I will devote my attention to him when I'm finished. #3 Use questions as an opportunity to teach. I remember being a kid, and I asked a lot of questions. 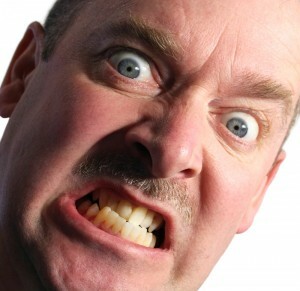 It bothered me when adults would brush me off as either a nuisance or get angry as if I was insulting their authority. Kids don't have discretion. As an adult, you need to take that into consideration. The best mark of maturity is your ability to properly handle immaturity. So grow up and teach your children when they ask you things--even if the questions seem insulting or off color. 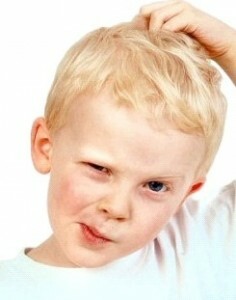 If you think the answer to a question is too complicated for your child, answer it anyway. If you want them to grow and learn, you have to push their limits. They probably won't understand, but explain it to them. They might absorb more than you think! #4 Solve the problem instead of trying to stop the symptom. There can be a number of reasons why a child will verbally pester you, such as a tactic to get what they want or need. One of your jobs as a parent is knowing your child well enough to discern between deviant, selfish behavior and their attempts to draw you to interact with them. Above all, I believe children need to be interacted with. Science has confirmed what we should already know by nature--humans need humans. We are dependent creatures. Children are yearning for eye contact, verbal affirmation, and physical interactions with those that love them. They want to be picked up, hugged, wrestled with, tickled, read to, assisted, and taught. It is not enough to set them in front of a screen or to give them an expensive toy. They need you. They want you; and if you're too busy to give your children what they need, you're too busy. The core problem behind your child's behavior might be you. "Kids say the darnedest things." So enjoy it. They're funny--whether by accident or on purpose. They can be hysterical. Instead of taking everything so seriously and vice-gripping your child's personality, laugh at the off-the-wall stuff they say and let them know you enjoy them. Lines need to be drawn--I get it. You can't let them spout off at the mouth without regulation; but loosen your expectations of perfection and enjoy these silly little kids before they grow up and start asking you if you have a will prepared. I LOVE #4, "If you're too busy to give your children what they need, you're too busy." I'm on the other side of raising children. Our youngest is leaving the nest in a few short months. Looking back over the last 18 years I know there were times I was too busy, but thankfully I realized it sooner rather than later. Those 18 years have FLOWN. You just wait. It's gonna happen to you. I'm so thankful you already recognize how precious that time is. God bless!